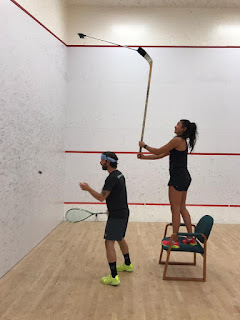 SERIOUS SQUASH: Is Deception Only For The Pros? This is an awesome post. Really informative and creative content. These concepts are a good way to enhance the knowledge. I like it and help me to development very well. Thank you for this brief explanation and very nice information. Well, got a good knowledge. I like trying new kinds of activities and the recent one was golf. However I haven't tried squash before. I've caught great inspiration vibe after reading your post and watching the video. Thank you for this story and welcome to my blog www.editage.com .